Are you the one who is also screwed by your operator like me but can’t change their service as you don’t want to change your old mobile number? Then this might be good news from TRAI to us. Soon citizen of India would have access to ‘mobile number portability’ (MNP). This might you have heard many times before but nothing have changed or implemented yet. But this time TRAI is taking a serious action and want no delay to implement MNP in India by October 31. For those who are not aware of this service which will be soon in our hands, MNP is a service that allows a mobile user to change his operator while retaining the number. In this way we can change our operator (in a period of 3 month) if we are not satisfied. This will raise completion amongst different operator and will get a proper and satisfactory service from them. First it was decided that MNP was to be implemented by December 31, 2009 in all metros like Maharashtra, Gujarat, Andhra Pradesh, Karnataka and Tamil Nadu. But then the deadline was forwarded to March 31, 2010 and then to June 30, 2010 but sarma said “There will be no further delay in the implementation of MNP”. 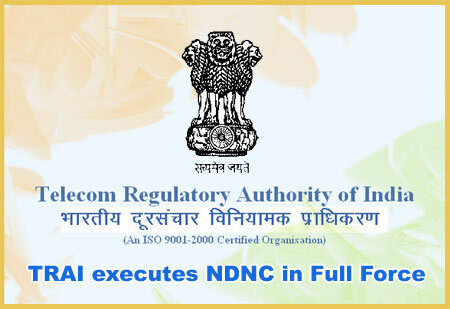 While other telecom service operator like Bharti Airtel , Reliance, Vodafone Essar , Tata Tele, Idea , STel and Aircel-are busy discussing how and what they will do when MNP will come, Bharat Sanchar Nagar Nigam and Mahanagar Telephone Nigam Limited have said they are ready with the infrastructure to implement the MNP service. I’m waiting for MNP to come as I want to change my operator (Airtel). Are you also waiting for MNP to change your operator service while retaining the same number then wait for 2 months from now.